Prolimatech reveals two new thermal compounds; the PK-2 Nano Aluminium compound and the PK-3 with nano particles. 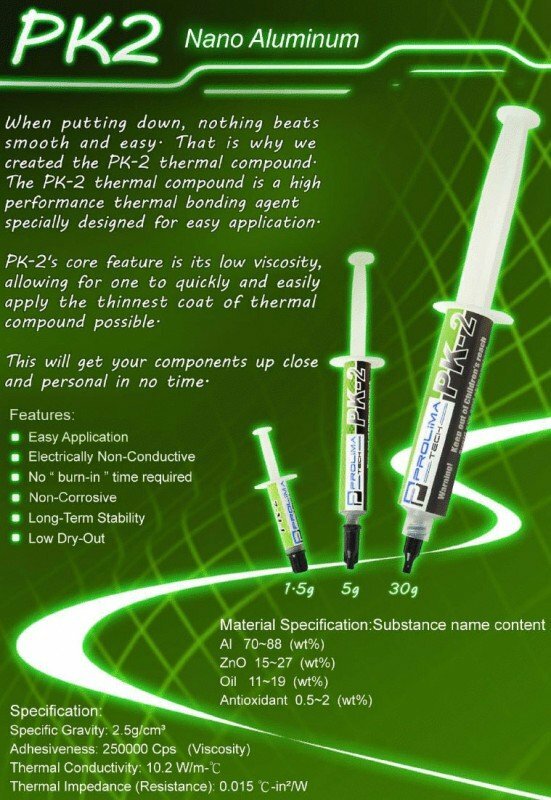 The PK-2 thermal compound is a high performance thermal bonding agent specially designed for easy application. PK-2's core feature is its low viscosity, allowing for one to quickly and easily apply the thinnest coat of thermal compound possible. 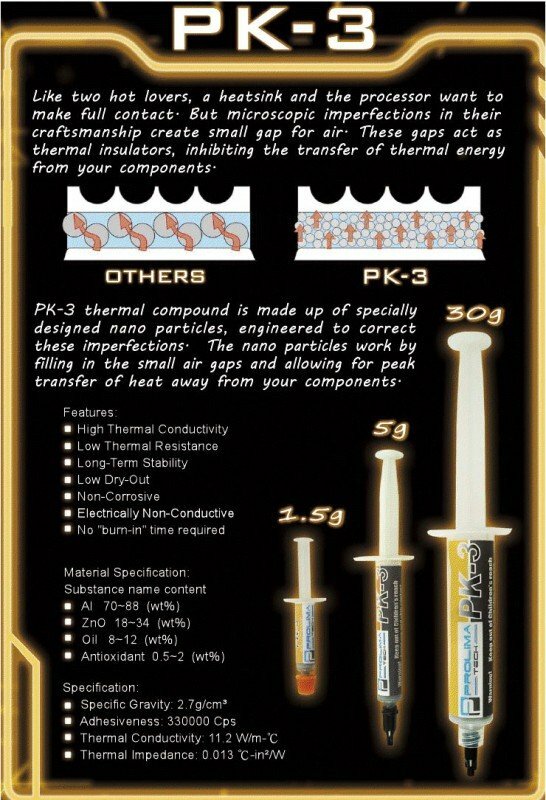 PK-3 thermal compound is made up of specially designed nano particles. The nano particles work by filling in the small air gaps and allowing for peak transfer of heat away from your components.